Originally from Red Deer, Allison Trefanenko (nee White) received her Bachelor of Education from the University of Alberta in 2002. She then went on to build the dance program for Edmonton Public School’s Eastglen High School where she choreographed, directed, and taught daily lessons to high school students in dance technique, composition, dance history, and dance appreciation. Allison was Department Head of Fine Arts at Eastglen where she acted as the leader for the music, art, drama, and dance staff from 2007 until 2009. Along with her work in Public Education Fine Arts programs, Allison continued to actively pursue professional dance training in Edmonton. She danced with the local jazz dance company, Freefall Dance, performing at the Roxy, Arden and Eva O. Howard theatres. She trained with the Orchesis Modern Dance Group at the University of Alberta, sat on the Orchesis extended executive, and was an active coordinator and participant of many local workshops featuring guest artists from abroad. 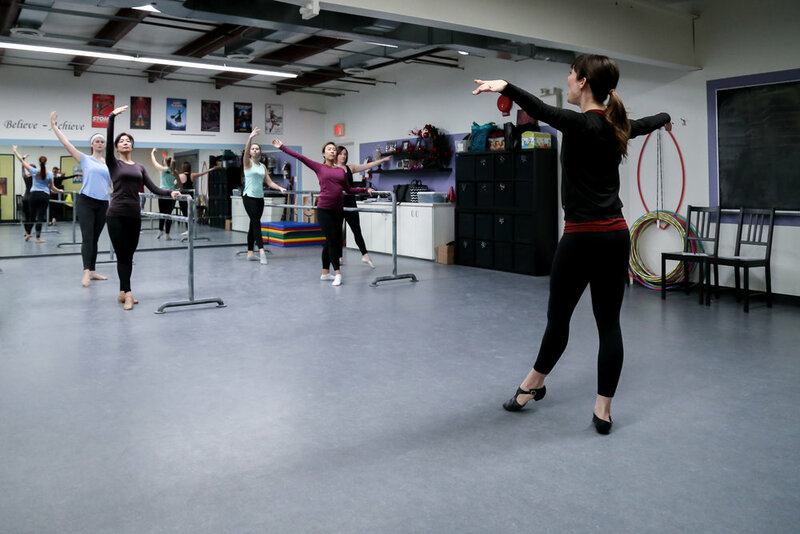 Allison has had the opportunity to accompany and study with her students at Laban in London, England, and at the Broadway Dance Center in New York City. She returned to Laban in July of 2006 under an Alberta Foundation for the Arts professional development grant to further her training with a teaching and choreographic focus. As a youth growing up in Red Deer, Allison danced with Dancentral Studio where she focused on R.A.D. ballet technique and A.D.A.P.T. jazz and tap technique. Now relocated back in Red Deer, with her husband and two daughters, Allison taught dance at Red Deer College in the Theatre Performance and Creation and continuing education programs, as well as substitute teaching and choreographing for programs within Red Deer Public Schools. Allison is excited to be teaching at Strive where she will focus on providing an atmosphere full of positive and fun learning opportunities.